Good all around strength for outdoors as well as color vibrancy. 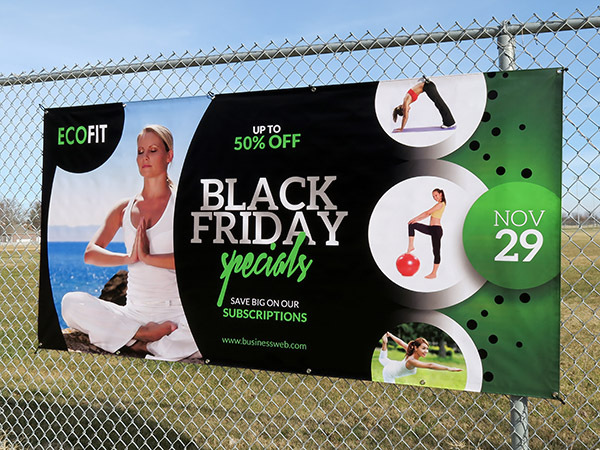 Grommet spacing – If the long dimension of the banner is 9ft or greater, or if the short dimension is 5ft or greater, we will add more grommets to more securely hold the banner. One grommet per foot.